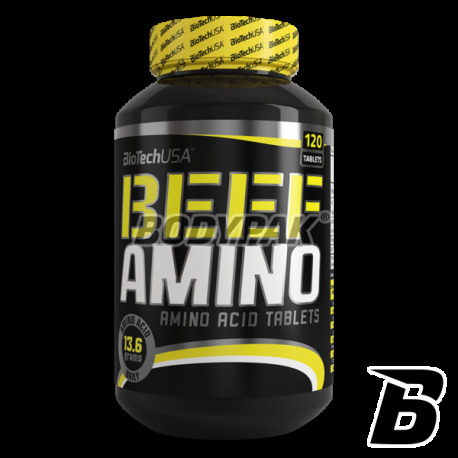 Amino AcidsBioTech Beef Amino - 120 tabl. ALMOST 7 GRAM OF PROTEIN PER PORTION 4 TABLET! 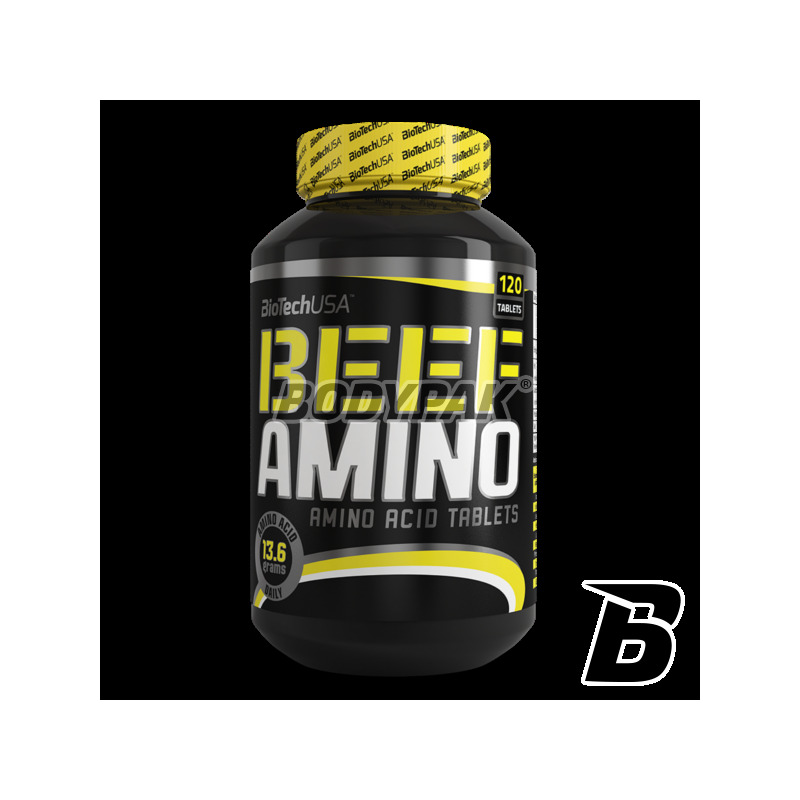 BioTech Beef Amino tablets with amino acids for athletes. Bodybuilding supplement amino acid is based on beef protein isolate and an extract of bovine liver Argentine. Amino acid supplement of Biotech USA Beef Amino lactose! Beef Each tablet contains a total of 19 amino acid endogenous and exogenous. Amino acids are the building blocks of proteins and muscle tissue. Protein contributes to the growth and maintenance of muscle mass and normal bone condition. With amino acids of the bovine milk protein containing tablets Beef Amino natural high doses of glutamine and BCAA. Tablets Beef Amino is an excellent choice, even for building lean muscle mass, because the components are low in fat and carbohydrates. Beef Amino tablets do not contain lactose and therefore are an ideal nutrient also for people who are allergic to lactose. Ingredients: Beef Protein Blend, hydrolysed beef bovine, powdered beef liver, maltodextrin, shell (maltodextrin, hydroxypropyl methyl cellulose, polydextrose, talc, medium chain triglycerides, dye: karamel) Silicon dioxide, magnesium stearate). Super - wołowe aminki w dobrej cenie, tego szukałem. Aminokwasy wołowe będą najlepszym wyborem dla każdego - osobiście wolę je niż klasyczne z serwatki. Aminki wołowe są znacznie lepsze niż te z serwatki (moim zdaniem) - cena produktu znośna, ale jakość to i tak nadrabia! Odpowiednie uzupełnienie profilu aminokwasowego każdego posiłku to bez wątpienia podstawa. Produkt ten świetnie o to zadba, dodatkowo nie zawiera laktozy, co w moim przypadku jest bardzo istotne.